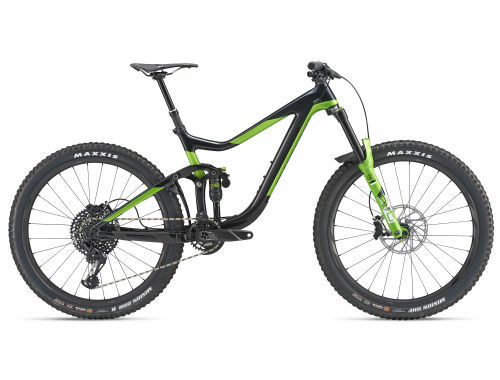 Updated and refined for the Giant Factory Off-Road enduro squad last year, the latest Reign Advanced features a longer, lower cockpit for fast, aggressive trail riding performance. It’s engineered with a lightweight, super-stiff Advanced-grade composite mainframe and ALUXX SL aluminum rear swingarm. The Maestro suspension system delivers 160mm of smooth, active travel with a trunnion mount shock and our Advanced Forged Composite upper rocker arm—which is lighter and stronger than the previous aluminium design. And it’s all designed around the performance benefits offered by 27.5 wheels, giving you the confidence and control to be fast and loose on hard-hammering terrain.